German kitchen manufacturer Rational has unveiled two ranges set to premiere in 2019, the Cascade and Edition 55. 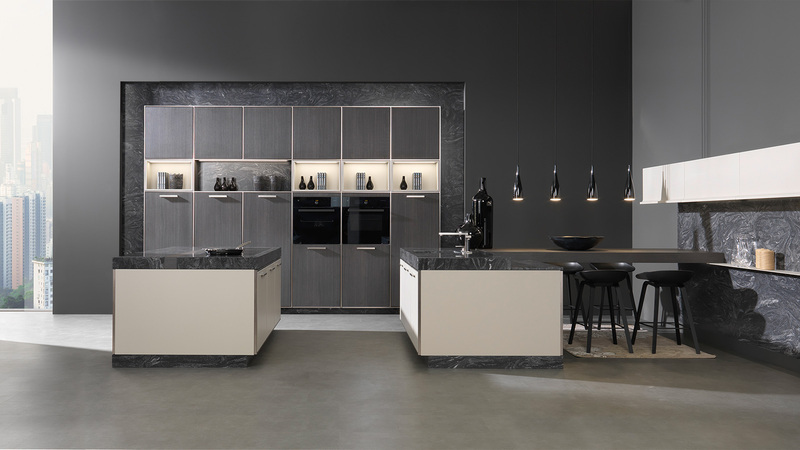 The Cascade kitchen combines textured Eucalyptus Volcano repro finish tall units with high gloss, soft lacquer base units in a neutral Wool colour. It also comes with a decorative frame system in a stainless steel finish, and it is also available in black. The worktops and plinth profiles are in DuPont “Cosmos Prima” Corian. 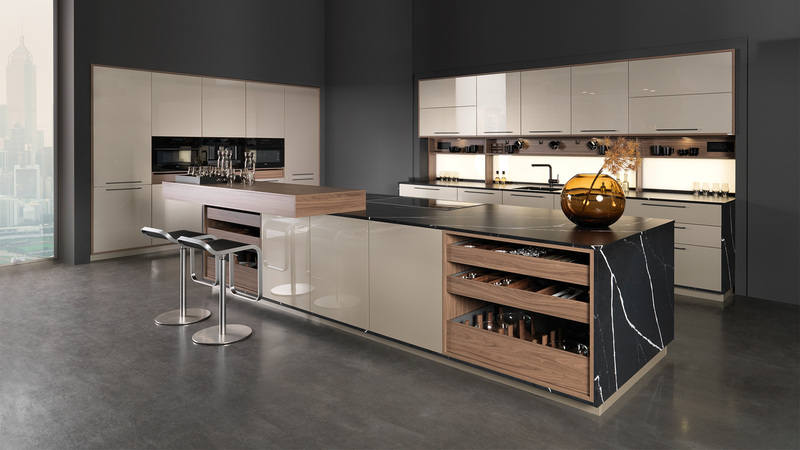 Whereas, the Edition 55 Luna kitchen features doors in an Acrylux surface, and is shown here in metallic Kubanite with a walnut decor high bar element, featuring pull-out drawers. Other features include illuminated light panels that can be used as a splashback, metal open box storage units that fit behind the sink, a 1800mm width drawer pull out, and open drawer island elements. Pursuing the message ‘Smart thinking, tasteful living’, Rational recently refreshed its brand imagery with the aid of digital artist Simon Huhn.